Curd, also known as dahi is a lactic fermentation of milk. It is valued for its smoothness and pleasant and refreshing taste. It is highly versatile, health promoting, and one of the most valuable therapeutic foods. The benefits of curd that you experience are usually due to the nutrients available in this dairy product. 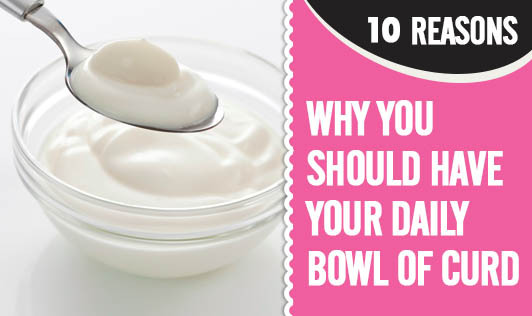 For instance, if you consume 150 g of curd, you will provide your body with 100 to 150 calories, 2 g of saturated fat, 3.5 g of fat, 20 g of sugar, and about 8 to 10 g of protein. It also provides your body with about 20% of your daily vitamin D portion and 20% of your daily calcium value. One of many benefits is that it helps improve your digestion, which is mainly due to the nutrients available in curd. Eating curd will make it easier for your body to absorb nutrients from other food items that you eat. Some studies have also confirmed that consuming curd may help cure many stomach infections, including H.pylori infection. Some studies have shown that consuming yogurt may help people who have some sort of sexual health problem, such as sexual impotency and low libido. You should eat yogurt with sugar before every meal to increase your body fat. It actually works as an aphrodisiac and offers several sexual health-related benefits.